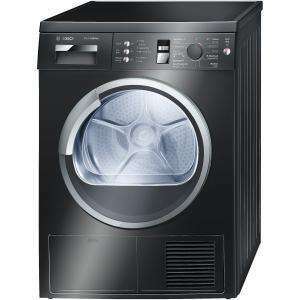 Although the Comet 5 hour sale was rubbish and nothing of interest I came across this the Bosch WTE863B1GB Black Condenser Dryer for £400.50 the cheapest I have seen it. To get it for this price use 10BOSCH in the promotional code box. Also Topcashback is 4.04% at the moment so hopefully another £16 (approx) making the total price £384.50. The next cheapest price I found was Tribal Uk at £427.49 with a 5% code. Please be aware I think this is only sold online as I asked instore about it and they said it was probably an online exclusive. Hope this helps someone and many thanks to Miss Gem for the 10% of Bosch Code. Terrible dryer we had the white one that the handle on the door split twice and water kept appearing on the floor the engineer was out to it all the time when they finally found the issue the dryer wasn't square all the frame inside was bent that's why all the panel gaps where all over the place and it couldn't be repaired and the engineer said it was scrap and Bosch had to give us a full refund. Not the best considering that its a very expensive dryer and it didn't last long we have a cheap Zanucci now and it does the same job and has lasted longer than the Bosch and was a 1/3rd of the price. We thought because it was Bosch it would be quality but it wasnt and we wouldn't buy another the other issue was all the parts are kept abroad so it took ages when some part was needed, a new handle a month, do yourself a favour and buy another make. Terrible dryer we had the white one that the handle on the door split … Terrible dryer we had the white one that the handle on the door split twice and water kept appearing on the floor the engineer was out to it all the time when they finally found the issue the dryer wasn't square all the frame inside was bent that's why all the panel gaps where all over the place and it couldn't be repaired and the engineer said it was scrap and Bosch had to give us a full refund. Not the best considering that its a very expensive dryer and it didn't last long we have a cheap Zanucci now and it does the same job and has lasted longer than the Bosch and was a 1/3rd of the price.We thought because it was Bosch it would be quality but it wasnt and we wouldn't buy another the other issue was all the parts are kept abroad so it took ages when some part was needed, a new handle a month, do yourself a favour and buy another make.